"The site circumscribes our reflection on being"
A catalogue was published by Presentation House Gallery in conjunction with the exhibition, with text by Serge Berard. 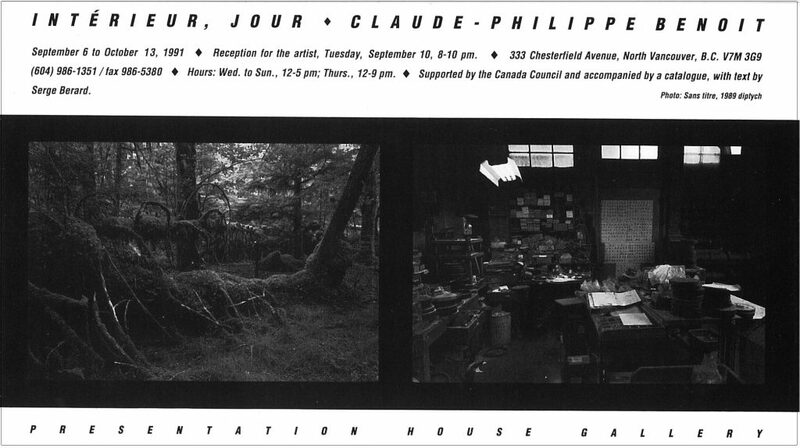 Claude-Philippe Benoit writes "Photographing a site is a conscious act, masked. This series of images depicts an identifiable era, one day of modernity. What I seek are locations marked by time, sites of labour that are invested with the best moments of existence, imbued with their traces possessing an almost material presence. This presence conditioned by time contains clues that allow us to see and sense the labours of everyday life, be they worthwhile or futile. These frozen instants, futhermore, are like cinematic shots - after the actors have left the set." 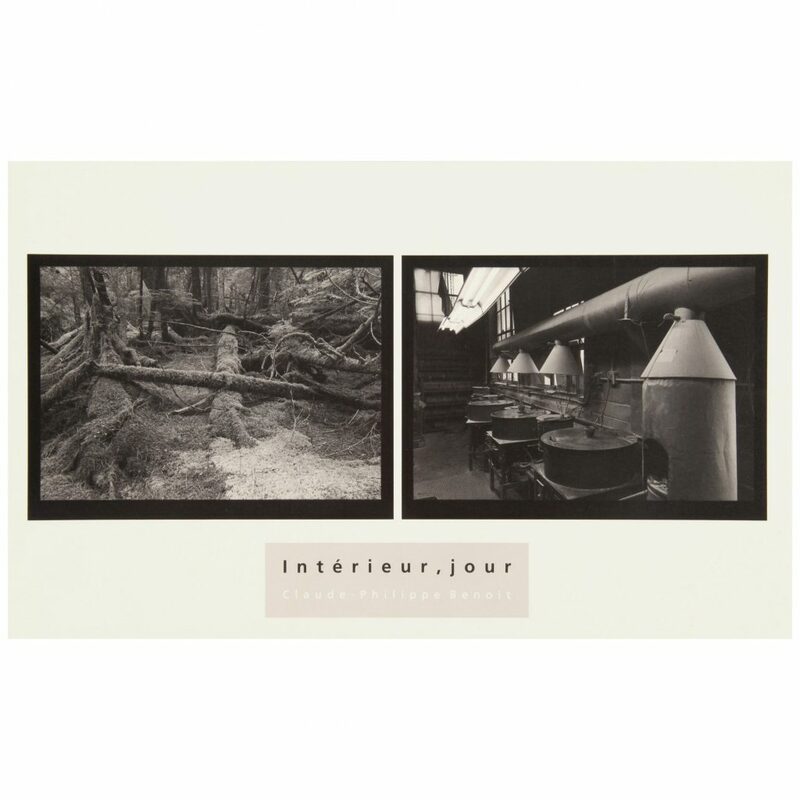 Interieur, Jour was exhibited in 1991 and curated by Gallery Director Karen Love. Essay by Serge Bérard. The book won the top award in the Printing Industries of America-Graphics Arts Award Competition and Studio Magazine Award.